"Our vision is to reach and influence the world by building a Christ centered marriage ministry that will impact generations that follow." Andrew and Paulette Ainsworth have been married over 40 years. Andrew holds a Master of Arts Degree in Clinical Psychology, is a Licensed Marriage and Family Therapist, a licensed M.F.T in California and Washington State, an International Board Certified Christian Counselor with the American Association of Christian Counselors and a licensed minister with Evangelical Church Alliance. Andrew has over three decades experience as a therapist in private practice. In 2002 God lead Andrew and Paulette to work with marriages in full time non-profit ministry. Their purpose is to locally, nationally and internationally facilitate enrichment, improvement and healing for marriages through couples counseling, workshops, marriage intensives, conferences and developing marriage mentors. (Acts 1:8). 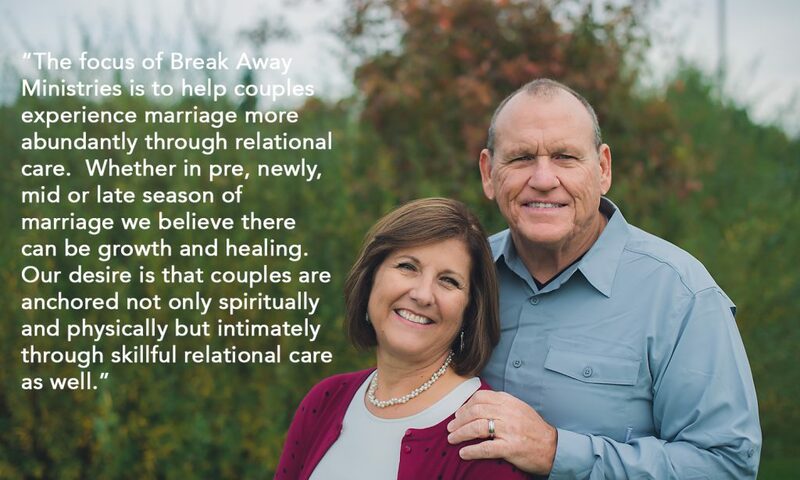 • Workshops and intensives provide a safe and supportive environment where God's word is used for healing hurts, resolving conflicts, and alleviating fear in the context of marriage. • Workshops and intensives are often used of God to halt the deterioration of important relationships before the pain becomes greater. Within the safe environment of our marriage intimacy group, we looked at past hurts, that if not resolved could damage our present relationships. We would highly recommend this experience to every couple, whether engaged or married. Copyright © 2019 Break Away Ministries. Powered by WordPress. Theme: Spacious by ThemeGrill.